Most technically-oriented people are smart enough to master chemistry, physics, and advanced math, yet too often much of that knowledge will go to waste unless they channel their technical know-how into some type of productive use. Some people start up companies like Google, others apply their brainpower to mastering business. Two Dutch engineers decided to use their brainpower to create a Lego Mindstorms computer and a Samsung smartphone to create a Rubik’s Cube solving robot. Amazingly, their combination Lego/Samsung computer set the world’s record for solving the Rubik’s Cube in 3.253 seconds, shattering the old record (that their Lego computer also set) of 5.55 seconds. Bruce Lee once said, “The successful warrior is the average man, with laser-like focus.” If two Dutch engineers could use their creativity to make a Rubik’s Cube-solving robot out of Legos, there’s no limit to what other engineers and scientists can do. While solving the Rubik’s Cube might seem whimsical, it’s actually a complex problem that stumps many people. Of course, you don’t have to create a game-playing robot out of Legos. Use your imagination and think of ways to create a low-cost water filter that never needs replacement parts. Develop low-cost solar panels. Innovation rides on the back of creative minds that often come from the scientific world. While Wall Street bankers may make a lot more money, they often contribute little to the well-being of society. As scientists and engineers, you not only have the know-how to solve technical problems, but you have far greater opportunities to achieve much more than any executive with an MBA could ever do. Put your technical knowledge to work on something wonderful today. You won’t regret your decision. If you need inspiration, watch this video of the Lego/Samsung computer solve the Rubik’s Cube puzzle. To read more about the Lego/Samsung robot, click here. 29-year old Lyndsey Scott works as a model for Prada and Victoria’s Secret, but also spends her spare time building mobile apps. Although she’s appeared in major magazines like Harper’s Bazaar, W and British Vogue, she’s more proud of getting her iPhone and iPad apps approved by Apple. In high school, she taught herself how to program her TI-89 calculator. At Amherst College, Scott learned Java, C++ and MIPS while majoring in theater and computer science. But instead of pursuing a programming career, she plunged into modeling. By being both a computer programmer and a Victoria Secret model, Lyndsey Scott shows that you can be smart and successful at the same time, even in a glamorous field where most models seem to use their brains for anything but actual thinking. While not all of us may be born with perfect physical features to model professionally, Lyndsey Scott proves that you can control your future with your brains rather than your body. Physical looks will eventually fade but intelligence will always reign supreme and give you the opportunity to define your own life. Look at Lyndsey Scott as inspiration. If she could get through school and maintain her curiosity about life, then that shows how little peer pressure really means in the long run. Do what you want and pursue your own dreams regardless of those around you. You never know when you might become the next success story that shatters the nerd stereotype like Lyndsey Scott. Read more about Lyndsey Scott here. Researchers at UCLA have created an online crowdsourcing game designed to let players help doctors in key areas of the world speed the lengthy process of distinguishing malaria-infected red blood cells from healthy ones. For instance, the researchers hope that users of the game can help in areas like sub-Saharan Africa, where malaria accounts for some 20% of all childhood deaths, The disease, which affects about 210 million people annually worldwide, accounts for almost 40% of all hospitalizations throughout Africa. Typically, malaria is diagnosed by a trained pathologist peering through a conventional light microscope. The time consuming process can overwhelm researchers in countries that have high numbers of cases and limited resources, UCLA researchers said. The researchers also noted that a significant percentage of cases reported in sub-Sahara Africa are false positives, which lead to unnecessary and costly treatments and hospitalizations. The crowdsourcing game, which is free to play, works off the assumption that large groups of non-experts can be trained to recognize microscopic images of infectious disease cells with the accuracy of trained pathologists. So far mostly undergraduate UCLA volunteers have played the game, and have collectively been able to accurately diagnose malaria-infected red blood cells within 1.25% of the accuracy of a pathologist performing the same task, resesarchers said. The typical video game requires eye-hand coordination along with trigger-happy reflexes. Yet there’s a new breed of games out there dubbed contemplative gaming. The idea is less to blow things up and more to explore an artistic environment. 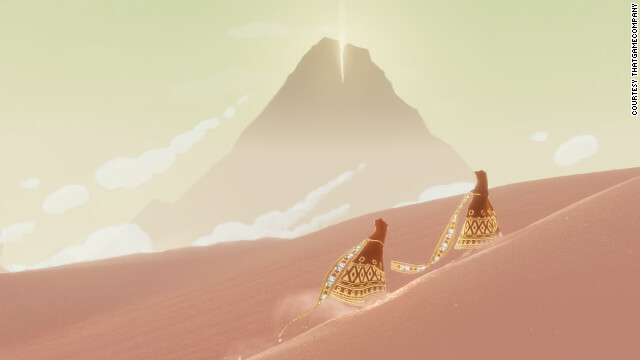 The independent game studio, thatgamecompany, recently released a game called “Journey,” which places the player in the role of a silent robed figure standing alone in a sea of glimmering sand dunes. In the distance, a great mountain appears against the sky as your destination. The metaphor is that this is your life journey for you to discover on your own. From start to finish, everything about this mysterious and beautiful experience is entirely open to interpretation, and the overall feeling of playing is one of serenity and peace. If you see video games as a possible art form, you might enjoy this latest category of video games. Now video games can be as thought-provoking and calming as a museum painting. Engineering professor Brianno Coller didn’t like math problems as an instructor any more than he had as a student. What he needed was animation and interactivity, and that’s when he decided to use video games as a teaching tool. Now his third-year students at Northern Illinois University in DeKalb build virtual race cars, complete with roaring engines and screeching tires, that must maneuver an increasingly challenging course. Along the way, they’re exposed to computational math, a basic building block of engineering. Around the country, pockets of faculty have been adding games to their courses as a way to stimulate learning. At Boston College, nursing students conduct forensics at a virtual crime scene. At the University of Wisconsin-Madison, a game called Melody Mixer teaches students how to read and compose music. Students at Mercyhurst College in Erie, Pa., play World of Warcraft, a multiplayer online game, in a course on intelligence studies. Game-based learning has become a new field and has even been touted as part of the U.S. Education Department’s new national technology plan, but games don’t have to be based on the computer. To help students grasp the psychological and economic impact of the Black Death, University of New Haven lecturer Matt Wranovix created a card game in which students left holding a Joker fall victim to the plague. And there is no software to download to play Reacting to the Past, a role-playing game developed a decade ago by Barnard College history professor Mark Carnes. The game, which has spread to more than 300 campuses in the past few years, relies mostly on classic texts and, sometimes, homemade costumes. While some people are skeptical about using games as an educational tool, others are embracing it to make learning fun. The more fun you have, the more likely you’ll learn something. If you thought video games were useless, you might be interested in the September 14 issue of Current Biology that concluded that people who play action video games develop skill in detecting a range of visual and acoustic evidence that increases their decision-making capabilities with no loss of precision. Researchers call this skill probabilistic inference. “What’s surprising in our study is that action games improved probabilistic inference not just for the act of gaming, but for unrelated and rather dull tasks,” says psychologist Daphne Bavelier of the University of Rochester in New York. Unlike slower-paced video games that feature problems with specific solutions, action video games throw a rapid-fire series of unpredictable threats and challenges at players. Those who get a lot of practice, say, killing zombies attacking from haphazard directions in a shifting, postapocalyptic landscape pump up their probabilistic inference powers, Bavelier proposes. Psychologist Alan Castel of the University of California, Los Angeles, calls the new study “thorough and intriguing.” Much remains to be learned, though, about whether and to what extent video-induced thinking improvements aid other skills, such as pilots’ ability to land airplanes in challenging conditions. So if you think action-oriented video games have no redeeming value, think again. They may be helping you develop the skills you need to assess information rapidly and make decisions quickly, which you can apply to your world outside of video games. If you want to turn your gaming hobby into something productive and lucrative, take a look at this emerging field of serious gaming. What better way to make a living than designing and playing games all day? If you think games are just for young people and serve no purpose other than to waste away idle time, think again. Kathleen ‘Kit’ Connell. Kit plays on her Nintendo DS console for two hours every evening, and has been nicknamed the ‘Nintendo Queen’ by UK newspaper The Sun. Kit plays games like My Word Coach, Left Brain Right Brain 2, Easy Piano and Brain Training. According to the Brain Training game, she’s mentally at age 64, which she attributes to using video games to keep her mind active. If a 100-year old woman can stay mentally sharp by playing the right kinds of video games, who knows what effect such positive video games could have on everyone else as well? To learn more about Kit and her video gaming, read the compete article here. Here’s an unusual game to help people understand different blood types. The Blood Typing Game, developed by the official Web site of the Nobel Prize, challenges players to give blood transfusions and learn the different blood types available. Give the wrong blood type to a patient and you could kill him. Give the right blood type and you could save a life. While this game may not be as challenging as the latest eye-hand coordination, first-person shooter game, it’s still another interesting use of a game to teach complex topics to the general public. If you’re involved the field of biology or medicine, try playing the Blood Typing Game and see how well you do. Reason to play: Learn to understand the different blood types in people. Before the popularity of video games, many military and war historians played paper war-games where pieces represented tanks, navies, armies, or airplanes. By creating rules for how each playing piece could move and attack, these paper war-games could help historians argue about the merits of certain battle plans or simulate future battles between likely enemies. During World War Two, the Japanese made up a war-game to simulate the upcoming attack on Midway island. Based on what they thought the Americans would have at their disposal and what their own strategy would be, the Japanese attacked Midway Island in their war-game and lost when the American fleet ambushed their aircraft carriers and sank the Japanese fleet. Outraged that the American could possibly win, the Japanese broke their own rules and allowed the Japanese team to win. When the Japanese sailed into the actual battle of Midway, the Americans wound up ambushing the Japanese fleet, ambushing their aircraft carriers, and sinking four of them, just like the Japanese war-game had predicted. If you’re interested in both studying historical battles or simulating potential new ones, look at Decision Games, the publisher of various historical and modern war-games. 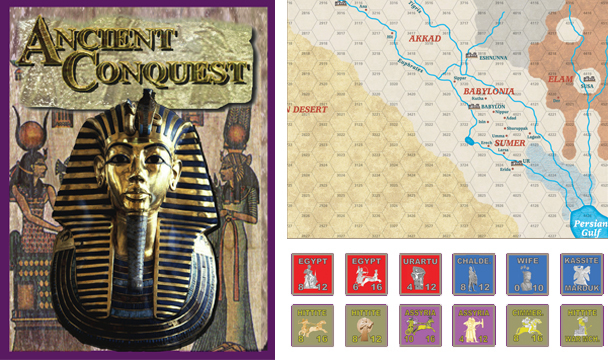 These games can often be complex to learn and play, but they can give you a unique insight into the battles that changed the course of history so you can test out different tactics to see what might have been a better strategy. More importantly, studying these paper war-games can help you better understand both geography and history while teaching you strategy at the same time. These war-games aren’t as precise as chess, but they can help bring history to life. If you think you could win the American Civil War for the South, conquer Europe back in the Middle Ages, or invade Iraq in the near future, a paper war-game can help you prove your skill as you learn. Paper war-games more closely resemble the strategy, turn-based games of some video games like “Civilization.” However, don’t let the lack of fancy computer graphics turn you away from this fascinating aspect of gaming where history and military strategy can prove itself right before your eyes.